We offer the convenience of a full service funeral home and perpetual care cemetery, combined together into one beautiful location. We are a local, family owned business that is dedicated to providing outstanding service at the lowest possible cost. Our professional directors and counselors at Harpeth Hills can assist at time of need or in pre-need planning. The first-of-its-kind in Tennessee, the Legacy Gallery offers a welcoming environment including our exclusive “Path of Life” which assists families in creating meaningful tributes everyone will remember forever. We also own and operate our own crematories which means your loved one never leaves the security of our care. Our cemetery is maintained through a perpetual care fund, which provides you with the assurance that you will never have to worry about the future care of your loved ones memorial. All burial and insurance policies are accepted, with interment at any cemetery. A simple call will enable our staff to assist you with all necessary arrangements. Come tour our beautiful location and see why so many families have entrusted their loved ones to our care. is an exciting, versatile facility perfect for almost any event including receptions, ceremonies, civic and corporate gatherings, wedding celebrations, rehearsal dinners and memorial services. 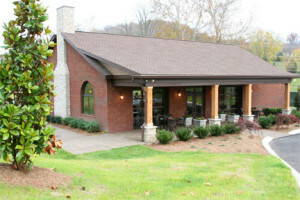 Located on the beautiful park-like grounds of Harpeth Hills Memory Gardens and overlooking a gorgeous lake and magnificent fountain, The Pavilion at Harpeth was built specifically to allow families and groups to have Life Celebrations of practically any kind.